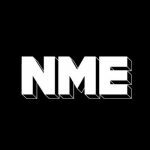 This interview originally went out on NME Radio. After our original interview was cancelled, I met Band Of Horses the next morning at the band’s hotel. One thing’s clear – they’re not morning people. Despite that, Tyler Ramsey and Bill Reynolds were willing to chat about the new album ‘Infinite Arms’, what they need in their rider, and a close encounter with Bill Murray.